Even though the Jenkinson family have a long connection with Brotherton - including three members who were the landlords of the Fox Inn - they have few obvious connections with the other local families. This page therefore lacks much information and has mainly relied on inscriptions on the Brotherton gravestones to provide the clues. 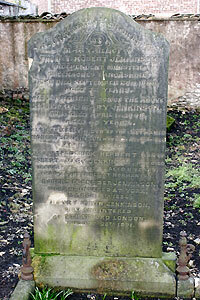 ........ 3 William Jenkinson b: 05 Apr 1763 Sprotbrough, Yorkshire ? ........ 3 Mary Jenkinson b: 27 Mar 1774 Sprotbrough, Yorkshire ? ........ 3 Sara Jenkinson b: 13 Feb 1780 Sprotbrough, Yorkshire ?